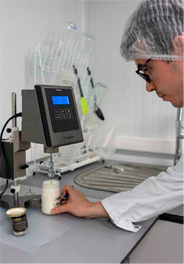 A fully-automated and advanced mixing installation from Tetra Pak results in superior quality mayonnaise and dressings at Salsa Rica in Spain. MOST OF THE TIME, there are no people in the production room of Salsa Rica, a sauce producer in the small village of Agoncillo, La Rioja in northern Spain. Still, every nine minutes the two production lines deliver around 1,000 kilos of prepared mayonnaise to buffer tanks which are connected by long steel pipes to the filling machines in the next room of the facility. Staff is simply not needed to set up and control the efficient batch production, as the advanced mayonnaise lines are fully automated. A flexible solution produces batch after batch of smooth, gleaming mayonnaise very accurately and consistently. A clear focus on quality is the key for Salsa Rica. “It’s a smart process that gives perfect quality every time,” comments Marcos Ochagavía, who is responsible for the company’s national sales and marketing. Recently, he and his sister Sara took over the business from their father Virgilio Ochagavía, who started the company in 1995. 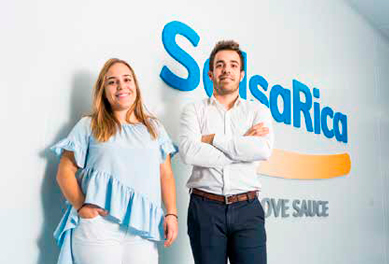 Since the start in a small warehouse producing sauces with second-hand machines, the company has increased production to become the leading manufacturer of mayonnaise for the food service market in Spain. customers, together with as many as 500 different brands, appreciate the quick pace at Salsa Rica. “Fast, on demand service, flexible production and a good relation between quality and price are the reasons why customers love us,” explains Ochagavía. In the summer of 2017 Marcos Ochagavía had a serious talk with his father about the company’s future. “Now it’s time to take the next step if we want to grow the business even further, my father told me.” But in order to grow and win bigger contracts, Marcos Ochagavía knew they had to resolve some quality and inconsistency issues. He started to look for appropriate suppliers and came across interesting information on the internet. 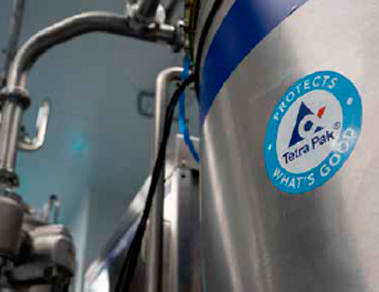 Soon after the initial discussions Tetra Pak arranged for Salsa Rica to try out their own recipes with the Tetra Pak High Shear Mixer, the heart of the company’s complete line for mayonnaise and other cold emulsified sauces. The two new lines replace old equipment from another supplier. The new lines consist of two Tetra Pak High Shear Mixers, two buffer tanks, an ingredient dosing system and Tetra Pak PlantMaster automation for line control. “With the new solution we can elaborate with many parameters, so that we can create and customise the perfect emulsion,” Ochagavía says. THE TWO PRODUCTION lines manufacture about 100 tonnes of mayonnaise or other sauces per day. The final product is packaged in plastic buckets of 5,000 ml or 10,000 ml, or in glass jars on the filling machine lines. Then, three robots take over and wrap the secondary packaging and palletize the buckets and jars before distribution to the customers. 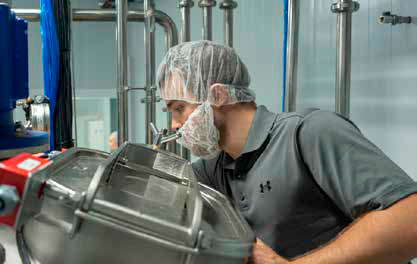 Together with the two mayonnaise lines, Salsa Rica has also invested in a new filling line that can fill 10,000 bottles per hour, doubling existing capacity. “The four main benefits with this new solution are the quality of the product, the flexibility of the process, a high standard of food safety and fully-automated production,” explains Ochagavía. The new automated line solution unlocks the market potential for Salsa Rica and the company is now ready to take on the challenge of approaching retail chains. Founded in Agoncillo, La Rioja in Spain in 1995, family owned Salsa Rica is the leading producer of mayonnaise for the Spanish food service market. The company has revenue of 13 million euros and 22 employees. The company serves 500 customers and exports 12 percent of its production.